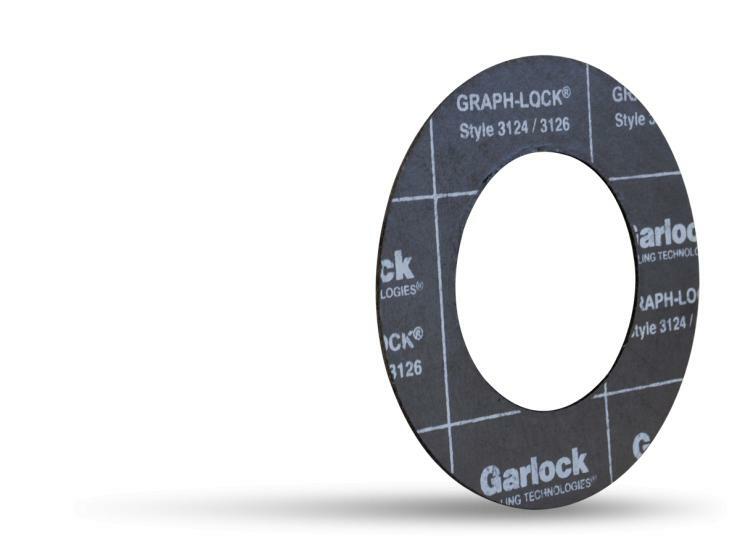 GRAPH-LOCK® 3124 and 3126 feature laminated layers of purified natural graphite flake that have been acid washed, expanded under heat, and then compressed into sheets with a minimum graphite content of 98%. This sheet contains a 0.0075” thick - JC thick 316 stainless steel wire mesh (24 mesh) insert, bonded with a proprietary adhesive. This adhesive makes up less than 1% of the total laminated weight.